Hello hello! Ever since I tasted cake pops I have to say I fell in love with the idea of these mini cakes! They are so convenient to eat! I looked up ways to make them out of curiosity because id love to have them at my baby shower! There are two ways to make them and today I'm going to review the simple way which is using The Original Baby Cakes cake pop maker machine. 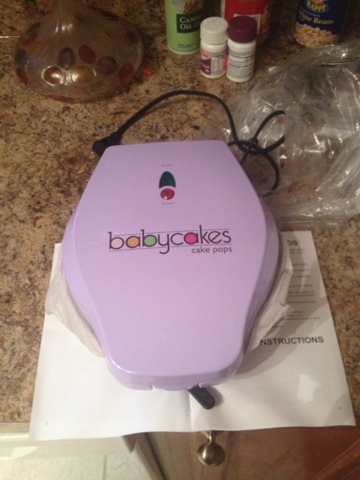 When I purchased the Babycakes Cake Pops Maker I was not sure if my money was being spent well but I figured why not try it and if worse comes to worse I can return it. Well to begin with I was surprised at the size of the box! It was so compact. It was smaller than I had expected which was a plus because I didn't want to lug around a big machine. 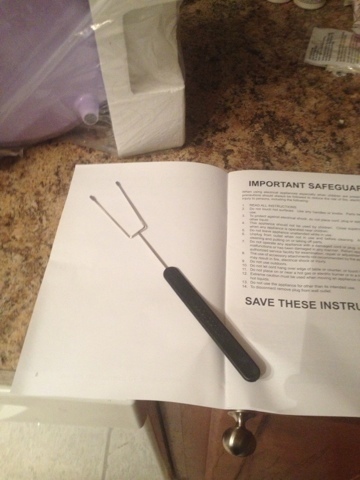 In the box came the instruction manual and a tool used to take the cake pops out because the machine gets VERY VERY hot! I was kind of disappointed that I had to buy everything to make the Cake Pops Separate because I thought it was a kit. So I bought a box of Babycakes Lemon Cake Pop Mix, bottle squeezers,Wilton Candy Melt , Wilton Lollipop Sticks, and plastic wrappers to wrap the cake pops. All in all it was a great investment and my cake pops came out tasting delicious. 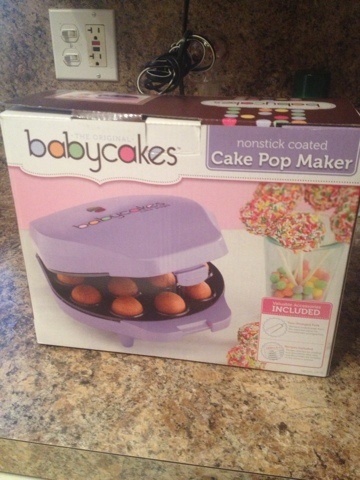 The machine makes 12 cake pops in about 5 minutes! 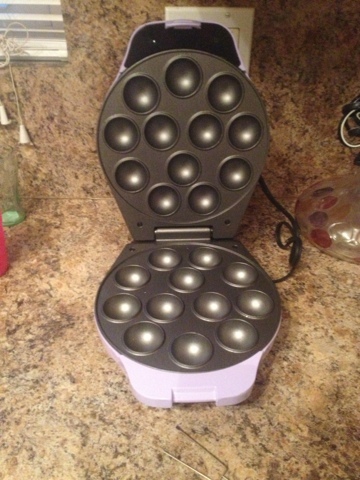 I was careful to not fill the circles to the top because they would over flow. I definitely recommend people who like to make sweets quick to buy this machine it was a great investment!